CES delivers the best airport limo service , airport transportation service , car services and corporate transportation. Whether you are looking for car service for a unique tour of the city or for an airport transfer, we are distinguished by our commitment to meeting your needs. We are just right for planning transportation for your business travel or vacation with our array of well-maintained vehicles. We can help you arrive or depart in absolute style without really prying a pigsty in your wallet. 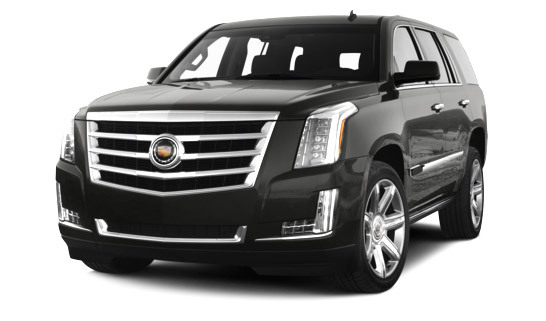 Our airport transportation services are counted as being the best in the industry with late model cars, SUVs, vans and more to cater transportation free of worries. With customer friendly services and ample dependability, we make your airport car service experience worthwhile. Feel at ease as you step into our vehicle as we get you to the airport or venue on time. Our dedication towards our customers is unparalleled which has made us an achiever when it comes to catering to your travel needs. We provide the type of services you rightfully deserve in Baltimore-Washington Metroplex, including Baltimore Airport , Washington Dulles Airport , Reagan National Airport, as well as Philadelphia Airport. We are affordable, responsible, professional and provide superb airport transportation service. For this reason, we stand out as one of the top providers of airport limo services at suitable cost. You need not worry as our well-trained and friendly chauffeurs drive passengers to their destination safely. Personalized attention to detail and constant dependability are some of the factors that make CES Airport Transportation & Car Service your chosen provider for airport limos and corporate transportation. You can choose from an extensive selection of luxury cars, SUVs and vans that are well-equipped and look spanking new. Our experienced drivers will help you reach right on time and are available at your service round the clock, 24/7/365 days of the year. Whether it is in the field of airport transportation or corporate travel or special occasion, we can vouch that you won’t get better rates anywhere else. Providing comfortable rides to thousands of customers, we have effortlessly catered to the aspect of client satisfaction at a high rate. We also provide corporate transportation services and corporate car service to take care of our clients official travel needs. We can also arrange a pick up and drop from your residence, hotel or office to your destination anywhere in the Baltimore-Washington Metro area. We can also arrange for transportation service to and from Marc/Amtrak stations and also serve the marinas and cruise terminals for pick up and drop facilities. We also offer hourly services for corporate transportation services like events and city tour. We understand the urgencies of our clients so we make it easy to get rates and book your car online. For us, every call is an opportunity to serve you in the best possible manner. This is why your needs and orders are handled in an expeditious manner, without any delay. Our proactive team makes sure that in case there is a change of plans, there is a backup immediately available. If you need a ride at the last minute, we will accommodate that for you. In case you are diverted to another airport, we will reach there before you.